As a grower do you try new products? How do you measure if that product worked? Side-by-side or strip trials compare two different treatments (hybrid, seed treatment, chemical or nutrient applications, etc.) and their impact on yield. This method has been used for years by growers and advisors. While this approach has remained popular, it tends to oversimplify what is actually driving yield. 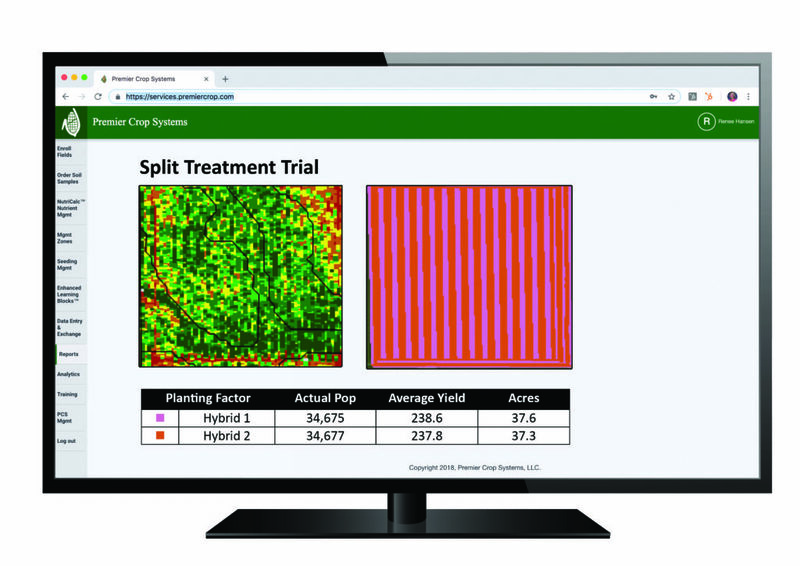 Premier Crop Systems has introduced a new process that incorporates this side-by-side approach with its deep layers of data into the analysis. This approach helps to answer not only which treatment yielded better, but more importantly, why. A split trial can be conducted with hybrids, seed treatments, fungicide, crop protection or anything that can run in a side-by-side trial. We report the average yield and compare them to each other. But we go deeper than that. Our reports provide an understanding of where each product fits best in the field by showing yields for each treatment within different growing environments.